It was finally amazing to see Batman go on the offensive and hit the Owls where it hurt and put an end to them with such finesse and finality. After all, Star Wars' Empire is not the only thing that can strike back. “Sandman” to Get a Movie Adaptation? Joseph Gordon-Levitt has announced his involvement in a live-action adaptation of Neil Gaiman's "Sandman." Amazing Charlie Brown Fan Edit with Bad Brains! Charlie Brown fan edit music video. This ROCKS! Superman or Batman? 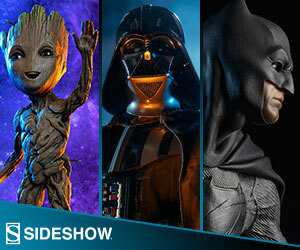 Vote now and lets see who the ultimate caped hero is! The New 52 Futures EndWith Free Comic Book Day (FCBD) in May 2014, DC will move all of us five years into the future with "The New 52: Futures End". New information on the Age of Ultron film. Ohio man sells a Spiderman comic he bought over 40 years ago to pay for eldest daughter's wedding. Weekly Comic Pull List with Balrok! Day 11 of the 25 Days of G33k X-mas! For day 10, we know you will all want this, Marvel Cinematic Universe: Phase One - Avengers Assembled (10-Disc Limited Edition Six-Movie Collector's Set) on Blue-Ray!! Simon Kinberg signs deal with 20th Century Fox to tie together their portion of the Marvel Universe. Wolverine steals the spotlight once again in the newest X-Men movie release.